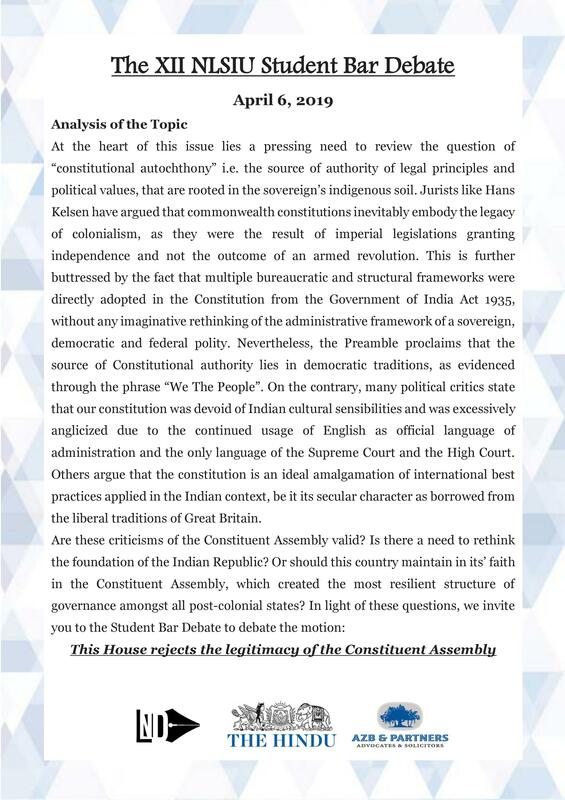 NLSIU | XII Student Bar Debate | Is the Constituent Assembly legitimate? CLPR Co-founder Dr. Sudhir Krishnaswamy will participate in the National Law School of India University‘s Student Bar Debate XII. 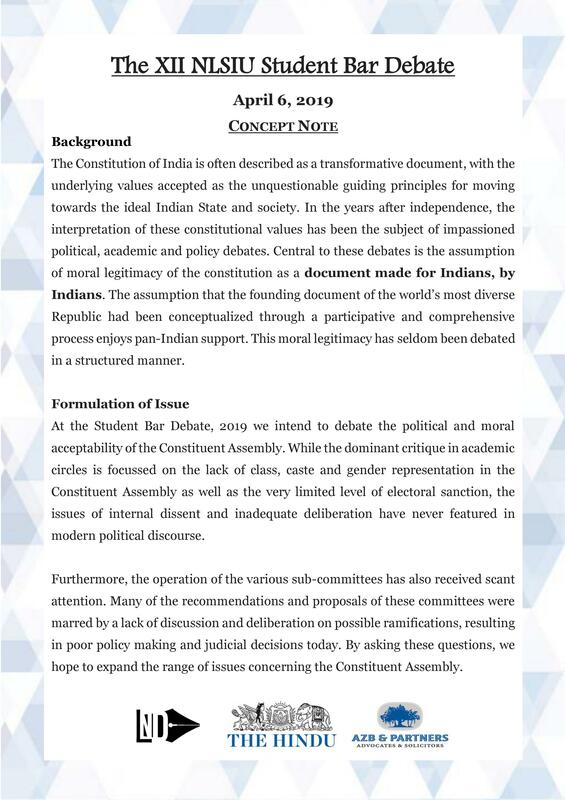 The motion to be debated is: “This House rejects the legitimacy of Constituent Assembly”. There will be two sides, each with three members. Each side is composed of two members — 2 experts and 1 student. Each speaker will have 10 minutes to speak.